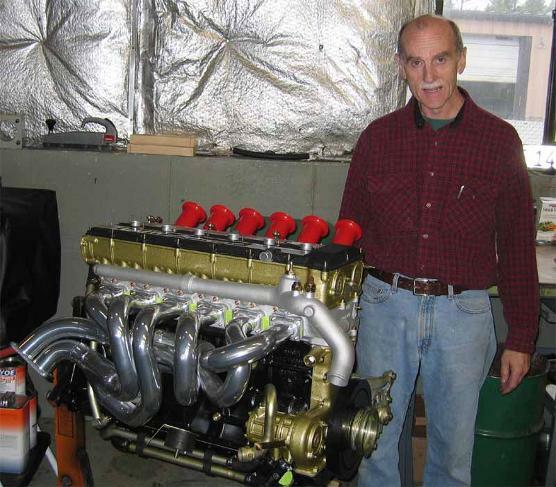 Here is another picture of the engine, with Tom Kelly standing next to it to give a sense of proportion. This is a massive motor. Tom is over 7 feet tall. 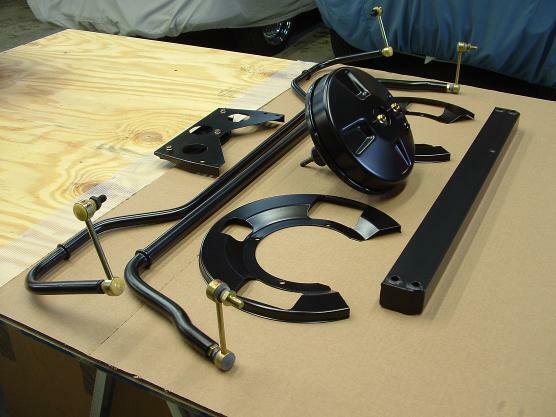 Sway bars, brake booster, cross members, everything is cleaned, bead blasted and refinished with the magic two-component veneer. Not even the Germans had this stuff back in 1980. The NameLess One will be better than new.